"Homecoming: A Film by Beyoncé," premiered on Netflix early on Wednesday and she also released "Homecoming: The Live Album" on her husband's streaming service, Tidal. The videos featured photos and clips of the singer, her performances, and her family. One particular photo of Beyonce, Jay-Z, Blue Ivy, Rumi and Sir has warmed hearts. 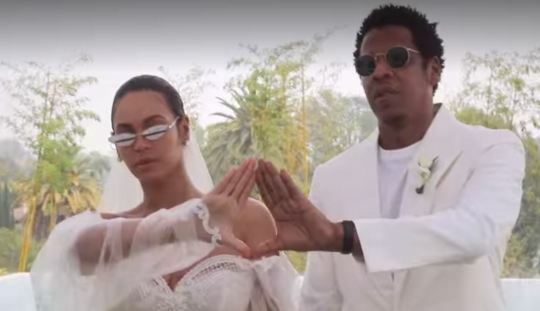 It was taken on the day Beyonce and Jay-Z renewed their vows after being married for 10 years. Homecoming was written, directed and produced by Beyonce, and shot over eight months, the Netflix project is part concert film, part documentary with a behind-the-scenes look at Bey's Coachella performances.